Georgia Southern University’s Health & Human Sciences Building (Hendricks Hall) is a sturdily built three-story brick building, but after nearly half a century of wear and tear, this double-loaded dormitory became a strong candidate for renovation. 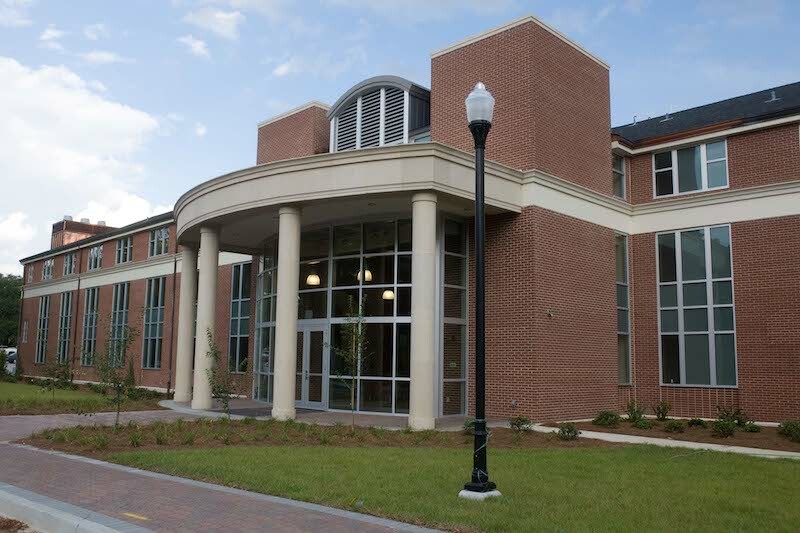 Garbutt’s work entailed the renovation of the dormitory, including the addition of all new mechanical systems and electrical services, and an adaptive reuse to house faculty and administrative offices, classrooms, and healthcare research space. This research space includes laboratories for Biosafety Levels 1, 2, and 3. The renovation and adaptive reuse of Hendricks Hall also consisted of a complete gut and reconstruction of the interior, including the addition of a two-story space within the footprint. New system installations were extremely challenging due to the low floor-to-deck height of 8 feet. A new chiller and transformer were installed to serve both Hendricks Hall and the adjacent Family Life Building.